Anniversary of stone sculpture workshop. 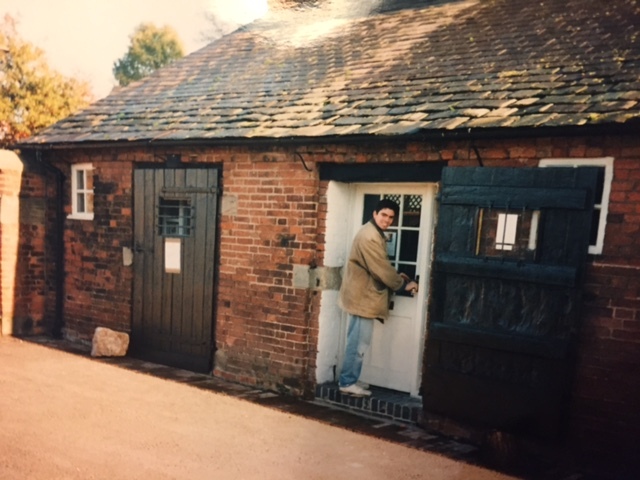 This is me, 20 years ago, on the 4th December 1995, opening the doors to my tiny workshop at the Ferrers Centre of Arts and Crafts at Staunton Harold in Leicestershire. 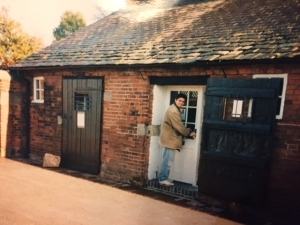 My early days were spent carving small pieces of sculptural garden furniture such as seats, birdbaths and sundials before gradually upscaling to a bigger workshop to create large stone sculptures and public art. There were some pretty desperate times, often struggling to make ends meet, especially in the early days but the highs have definitely outweighed the lows since then. Last years trip to a Buckingham Palace Garden Party as a thank you for the work that I carried out on the Naval Service Memorial was fantastic. I have also been honoured to work on some fantastic projects including the Sir Bobby Robson Memorial in Newcastle, the Mussel sculpture on Conwy Quayside and the memorial for the Scouts that I am currently working on to be sited at the National Memorial Arboretum. I would like to take the opportunity to thank a few people who have been a terrific support over the last 20 years. My wife for her ongoing support and patients, my parents, especially my Dad who continues to contribute engineering genius. Former landlord John Blunt for helping me get a start and his late son Ted who was always there when I was stuck. A few lads who have helped with the carving and the creative process- the late Donal O’Brien, Dan Cordell and Tom Kenrick. Finally fellow sculptor Richard Perry, off whom I have bounced many an idea.